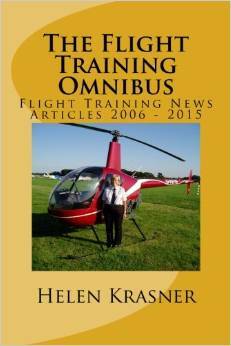 This is a collection of the articles I have been writing monthly for the publication Flight Training News over the past ten years. 60 articles are included, divided into four categories: Learning to Fly, Beyond the PPL, Just Helicopters, and Helicopter Instructing. Some have been published in other places too, a number in my aviation ebooks; however, a sizeable proportion are completely new. Hopefully this book will appeal to a wide range of readers, from armchair pilots and those who do not fly themselves, through to private pilots, commercial flyers, and instructors. You can find it here. If you like it, please put a review up on Amazon. A Kindle version of this book is also available.